Following the recent concerns expressed in a public letter by the Danish judge Frederik Harhoff about the recent acquittals by the International Criminal Tribunal for former Yugoslavia (ICTY), we want to express our deepest concerns about the possible change of course in the ICTY. This new trend can have disastrous consequences for current and future cases of international war crimes, for truth and justice in the world, for peace and tolerance, and for human rights and freedoms. Victims and witnesses of aggression and genocide in Bosnia and Herzegovina are particularly concerned about potential violations of the ICTY Statute by its president Mr. Theodor Meron. We wish to emphasize that judges must remain objective and independent in their decision making process. 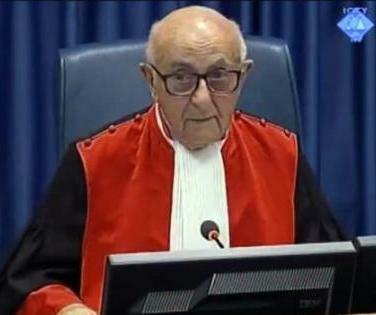 According to Judge Frederik Harhoff, Mr. Theodore Meron has been pressuring judges presiding over the case against Gotovina and Markac as well as the case of Momcilo Perisic to acquit the accused. If true, Mr. Theodore Meron blatantly violated his professional obligations and the ICTY Statute because he did not respect the independence of other judges. On behalf of victims and witness of aggression against the Republic of Bosnia and Herzegovina and genocide against its citizens, in the name of truth, justice and peace, we call on the Presidency, Council of Ministers and the Ministry of Foreign Affairs of Bosnia and Herzegovina to the United Nations Security Council to request an investigation into possible violations of the Statute by the ICTY President Theodor Meron. Simultaneously, we invite the President of the United States of America and the Prime minister of Canada and all international NGOs, especially ones that are registered with the United Nations to raise their voice against judicial corruption within the ICTY. Finally, the concerns raised by the Danish judge Frederik Harhoff that the recent ICTY cases have come under political pressure is a loss for truth and justice. However, it is even more reason why Bosnia and Herzegovina and the victims of genocide should not give up pursuing the lawsuit against Serbia and Croatia to obtain compensation for the hurt and pain caused to the victims and their families.